Various rock formations in Bryce Canyon National Park, Utah. Hoodoos are pinnacles or odd-shaped rocks left standing by the forces of erosion. The process of formation can be seen in this one image. 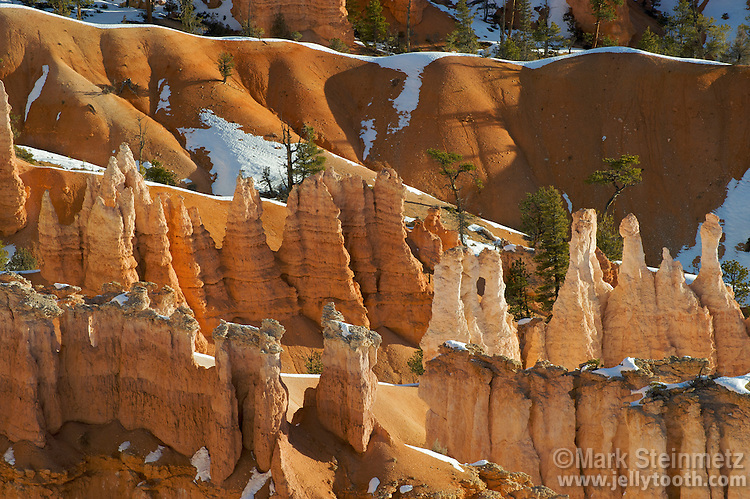 Starting as fins, as in the lower right corner, the action of frost-wedging often creates windows, as seen in the middle, which later collapse to form hoodoos, as seen center left and right.